Out of Stock. Ships Free. Timebomb's TNT e-juice mashes up some popular fruity flavors to create something new that you absolutely have to try. Strawberries, and peaches, and apples, oh my! 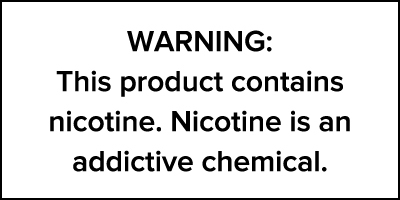 These three flavors are blended perfectly together in a salt based nicotine to give you a flavor mashup that is sweet, decadent, and delicious and all in a salt based nicotine. This offering is just another shining example of what makes Timebomb so great. They routinely release new and delicious flavors and tailor them to what their customers want. TNT comes in perfectly portable 30mL bottles so you can keep yourself topped off throughout your day.